Professional graphic designers, along with those who are studying the growing field, are constantly evolving their arsenal of tools used to practise their trade. Considering the very nature of today’s ever-changing technological climate, it’s no wonder that designers and artists are continuously seeking out the best and brightest ways to implement their talents. As popular as smartphones and tablets are becoming in mainstream popular culture, they’re becoming more and more useful in the professional realm. The thousands of apps that are available on these devices offer a new level of productivity tools to enhance work performance. Gone are the days of heavy desktop computers and creative minds being confined to an office space to use top-notch creative programs. Today, these professionals can take their work with them wherever they go with these five apps. You may find that this app takes some getting used to initially, but once you figure it out, it’ll be worth the wait. It features resizable canvas sizes, as well as other options to expand canvas sizes, a blur, and a handy smudge tool. It was designed specifically to be used with bare fingers, so using it on the go is incredibly convenient. 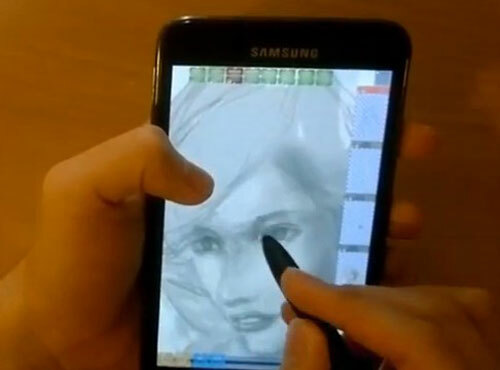 This app is for professionals, as the features cater to an advanced graphic design audience. The cost is £1.99, though a Clover Paint Lite option is available to test it out before buying the full version. 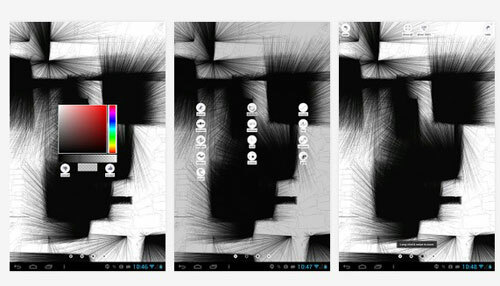 This sketch app is great for graphic designers and hobby artists alike. It’s convenient 11 brushes offer a variety of tools you can use to achieve the looks you want for your sketches. Its easy-to-use interface is great for beginners as well as seasoned graphic artists. Undo options in addition to the eraser feature offer flexibility in the designs. There is also an option to save your creations to your SD card, and share them via e-mail, MMS, and most major social media platforms. This version is free, although there’s a pro version with additional canvas sizes and features available for just £1.31. Check this one out and test your sketching skills. Photoshop lovers rejoice! 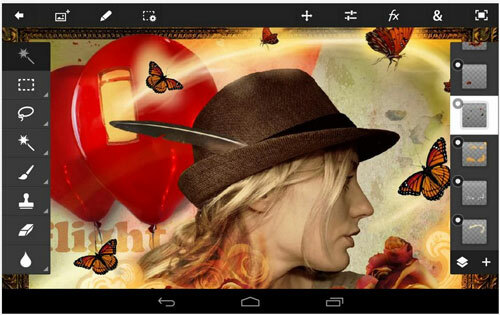 Now there’s a mobile version of Adobe Photoshop that’s compatible with the desktop version you know and love. Thanks to the Creative Cloud, you can actually start projects using the traditional desktop version and carry on about your day, editing it as you go on your mobile devices. This app is perfect for use on Lenovo tablets to take your studio on the road, and offers clients added flexibility and timeliness of project updates. Perfect for any standard Photoshop lover, this app is great for tablets and features all the core Adobe Photoshop features you have become accustomed to — all on a mobile phone or tablet. The cost to download this app is a modest £6.99, but you’ll also want to make sure your Adobe Creative Cloud subscription is valid as well, as they work hand in hand to sync projects. This colour blindness simulator app is useful for graphic designers to test their projects as they’re seen by those who are colour blind. It also uses the device’s camera to show how those who experience colour blindness see the world in general. It has been estimated that one in every 76 people are colour blind. Keeping this in mind, it’s important for graphic designers to choose colours in their designs that’ll appeal to all viewers — colour blind and full spectrum sighted alike. Perhaps the most helpful feature on this app is the ability to show side-by-side images showing the difference between the normal sighted and colour blind. This app is available in the Google Play store for free. 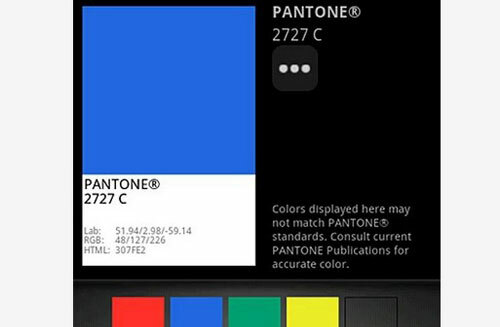 Perfect for all types of designers, this app offers the user access to several Pantone colour libraries, including the newest one: Pantone Plus Series. It includes a portable colour memory feature that makes it easier to recall specific colours. It’s definitely one for budding designers to check out for inspiration. 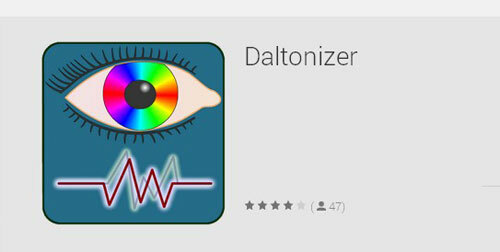 Available through the Google Play store, it’s only £5.03. Whether you’re a professional graphic designer, or an amateur who loves to sketch and play with colour and edit photos, there’s a design app out there for you. Which of these apps to you enjoy most? Are there any you would have liked to have seen on this list? Please feel free to share your ideas in the comments below. Lionel Bryant is a resident of Tampa, FL. Recently graduating from the University of South Florida, where he received his degree in Marketing with a minor in English.Lionel is a freelance writer who is able to handle all of his work using his Lenovo tablet.He enjoys traveling, playing sports, and listening to music. Considered adventurous and spontaneous, Lionel is always interested in trying something new.